A gay Buddhist monk in Tokyo uses makeup to deliver his message. Kodo Nishimura, 26, got started by doing a friend’s makeup and seeing how happy she was with his work. He came out in a photo-shoot for Out in Japan. “When I participated in the Out in Japan photo shoot, I met a lot of transgender people. Many of them weren’t familiar with makeup, so I wished I could give them advice,” Nishimura told BuzzFeed. He now has big-name clients like the Miss Universe Pageant. 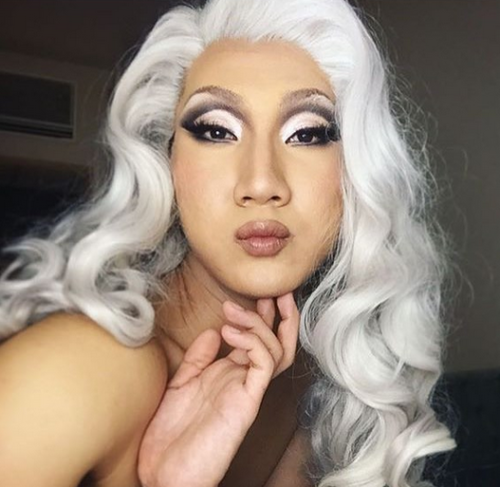 “I believe makeup is one of the tools to make yourself happy, and if you’re happy, it becomes easier to be kind to others,” he said. Nishimura now holds free makeup seminars for the LGBT community in Japan. Kodo Nishimura posts pictures of his work on Instagram.